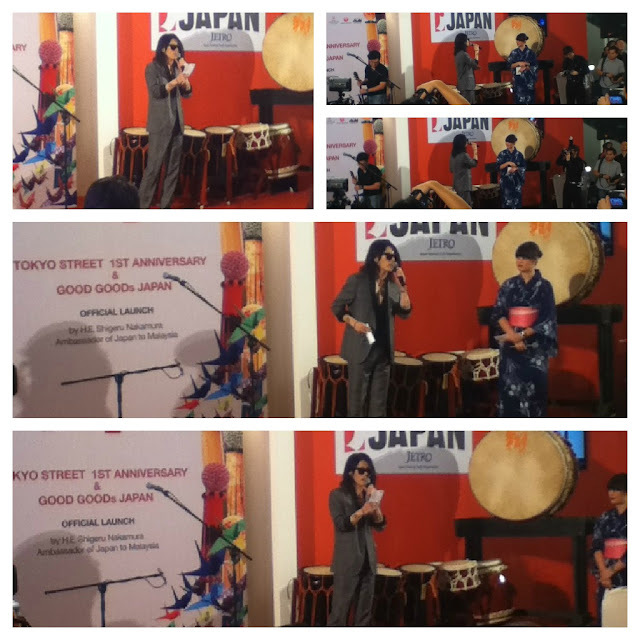 Went to Tokyo Street 1st Anniversary and the Launch of Good Goods Japan. The whole "I feel like I'm in Japan" atmosphere is just awesome. 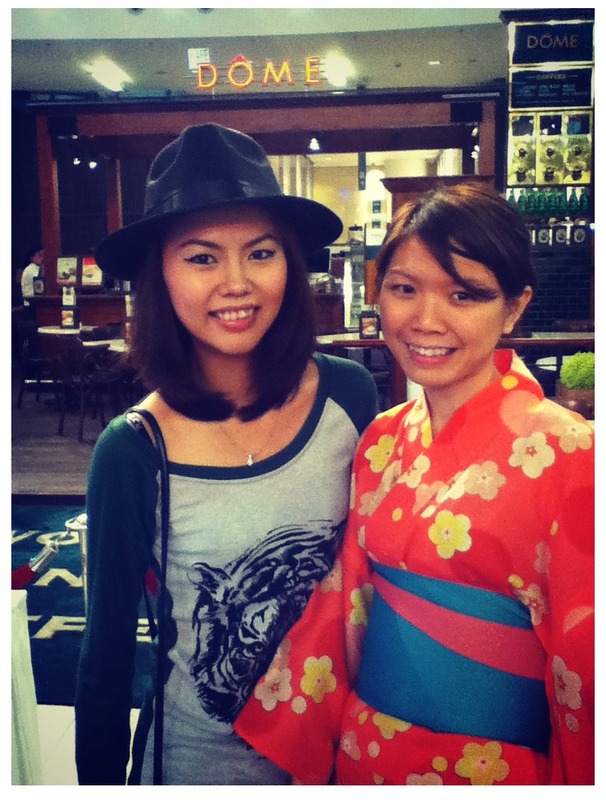 Everybody is wearing Yukata at the reception counter. 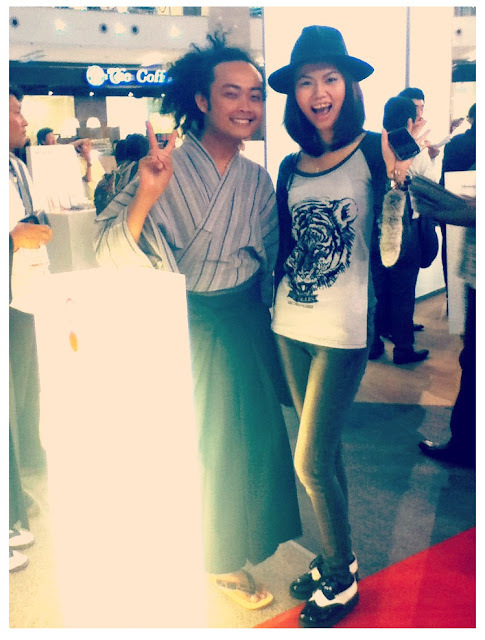 When I reach the Concourse Area of Pavilion, performers are playing traditional Japanese music. Suddenly so zen the feeling. lol. 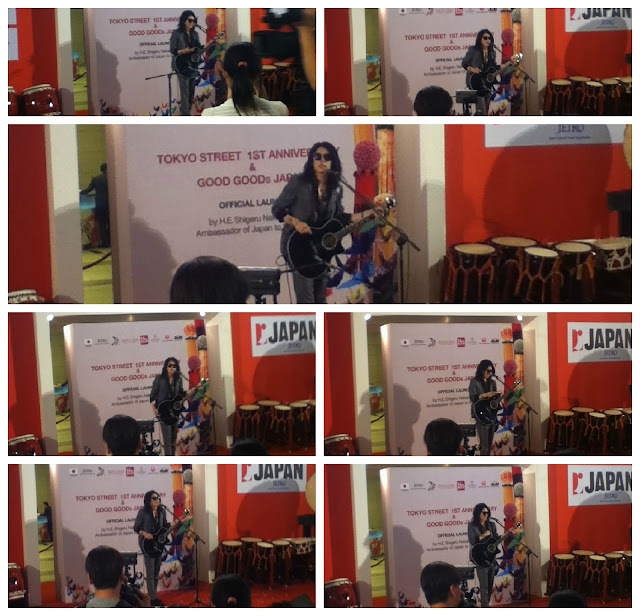 Kei, her bf, Kaede and her friend (my secondary school junior as well) were there standing and waiting for none other than MIYAVI to appear at the event. Yes, shocking news for all of us when we first knew that MIYAVI choose Malaysia as his first stop as a start to enter the South East Asia market. 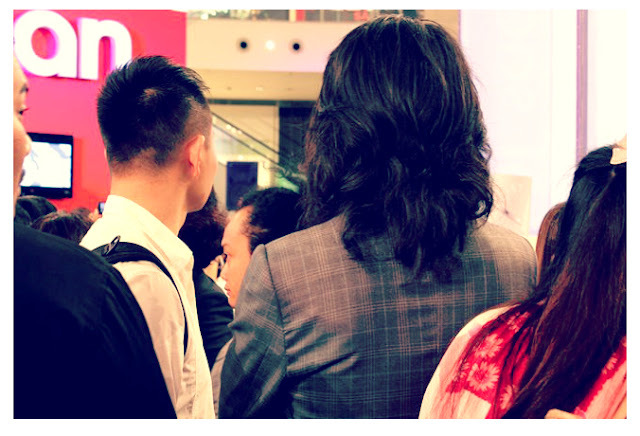 After knowing existence of MIYAVI for 7 years, there he is, at Malaysia, standing on the same ground like all of us here. We were so excited until we get all emotional - hyper, scare, almost cry some more, all sorts of mixed feelings, pretty hard to describe. If you adore some artists, then you know how it feels like when you get to see them with your own eyes, plus in a near distance. 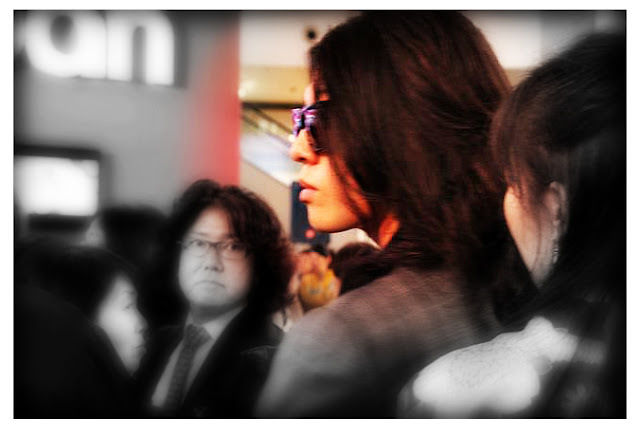 And he's not like other ordinary artists, he is MIYAVI, if you know what I mean. lol. 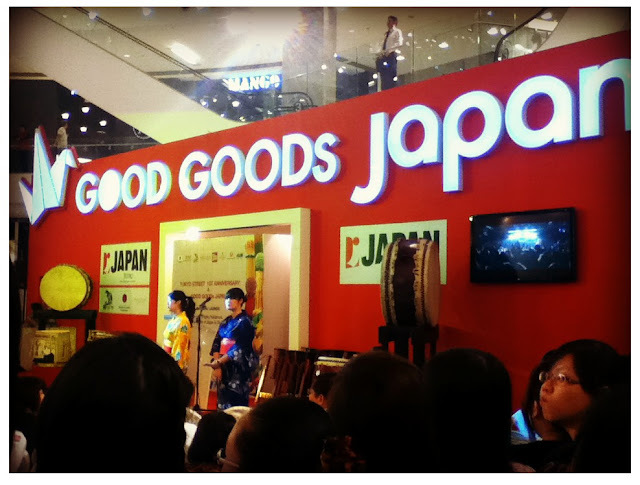 We waited for Japan Ambassador and other VIPs to be seated and do the opening speech. At that time I was waiting for my friend's text, hopefully she'll saw my text and able to 'grant' me the access into the event area. As some of you may know, that day the area was closed, only for invited guests. Super near right!? Told ya!!! 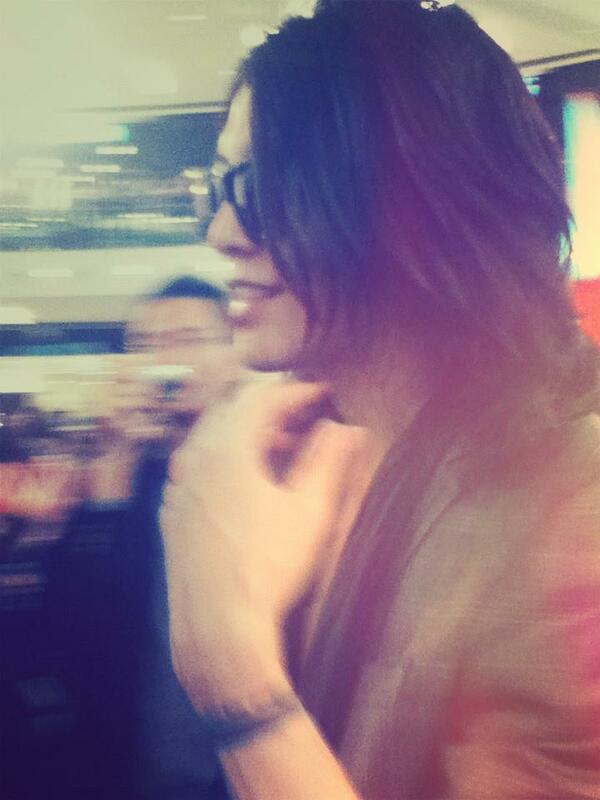 Out of sudden (probably heard us talking and squealing sound), MIYAVI turns his head around and smile at us. I swear at that very moment, my heart paused for a second and it is almost hard to breathe, definitely hard to believe that all these are happening, in my life! I kinda feel like I'm in heaven already. In his suit, shades, no make-up... 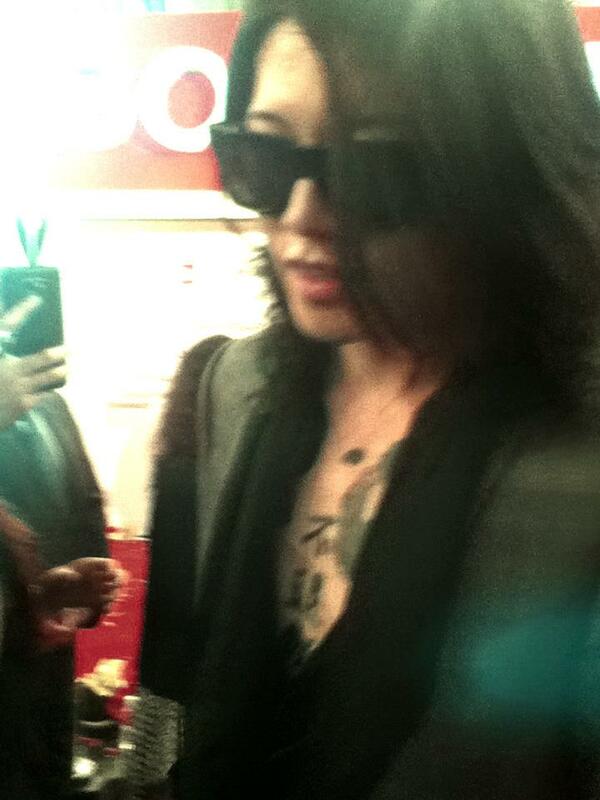 This is him - MIYAVI. He can converse so well in English I bet most of the people there are shocked. His American English slang is just so... WOW. LOL. Ok la, everything about him is 'WOW' to me lolololol. Recorded a video of him speaking English right before his acoustic performance starts. There starts MIYAVI's acoustic live as a special performance for Tokyo Street 1st Anniversary celebration. Please ignore my annoying fan girl scream. Sorry!! Everything is dreamlike. 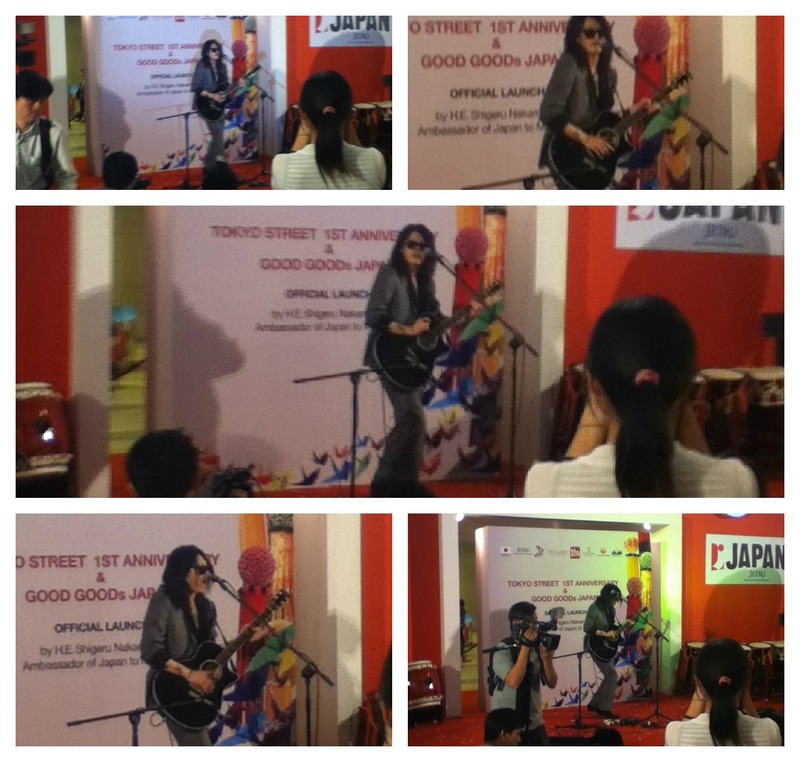 I think I'm quite emotional that time, seeing MIYAVI standing in front, I felt like crying. All sorts of memories rush back to me, 7 years ago till now. All his songs that I used to listen to, from how he was become how he is now.... A totally different MIYAVI than before. He's so man now! 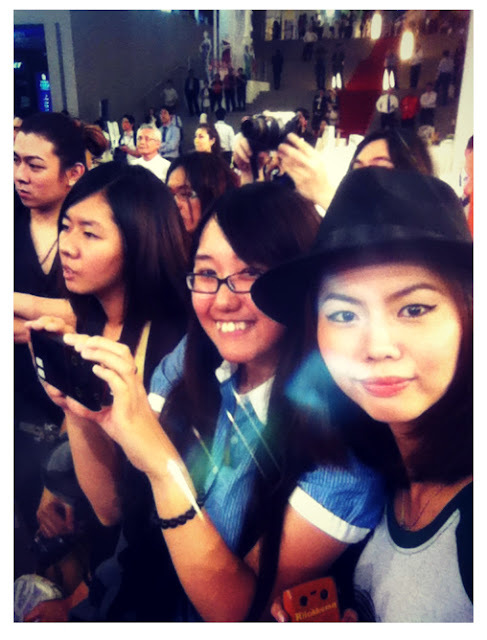 Haha, snap a shot of us while MIYAVI rest and talked a bit before the second song. Kaede so focus on MIYAVI lolololol. Photo taken from Pavilion's facebook. 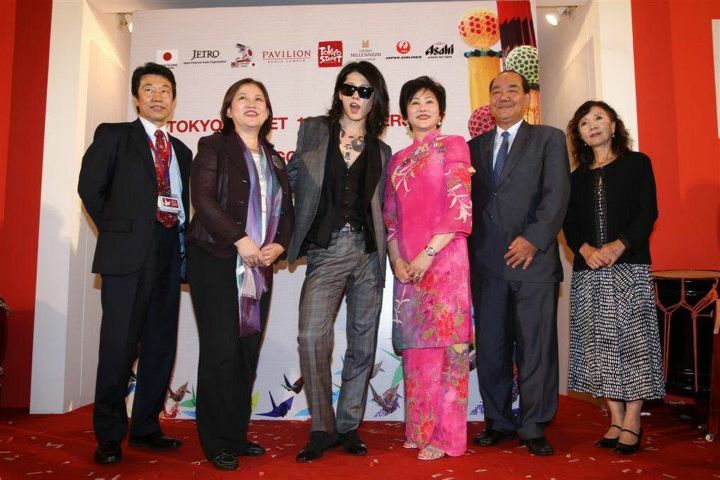 MIYAVI with the VIPs of the night. Photo by my junior Sundae Soon. Bumped into Akmal, the TOP 5 finalists in UNIQLO UNIQLOOKS. He's working in Pavilion. Hahahahaha. So cute la him hahahahaha. Many many thanks to her, I get to see MIYAVI in such a near distance.